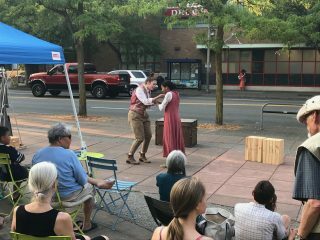 On Thursday, August 9th, LCFF partnered with Randy Wiger from the Seattle Parks Department and Greenstage theater company to bring the first ever “Shakespeare in the Lake City Mini Park” to about 30 audience members who seemed thoroughly entertained. 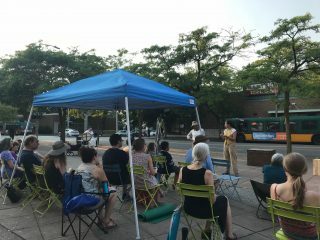 Greenstage actors and audience members were real troopers as the first 20 minutes of the production were challenged by the urban sounds of asphalt repaving in the parking lot adjacent to the park. In true professional form, the show went on, and Shakespeare’s “Two Gentlemen of Verona” was enjoyed by all. Based on this initial effort, LCFF is committed to bringing it back. 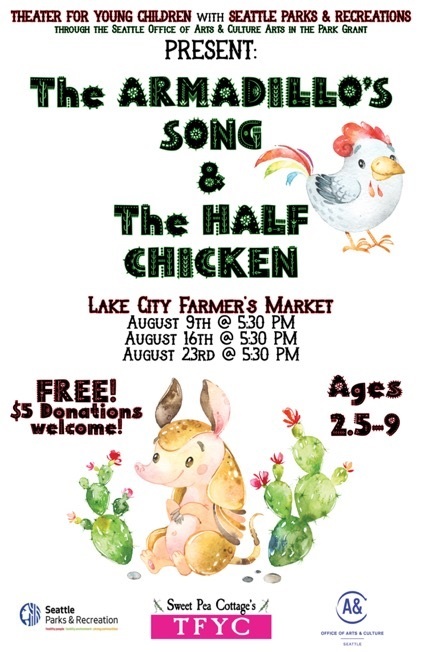 It was a special event for Lake City and one we hope you will strongly consider joining us for in the future. Thank you to all that came out to support. 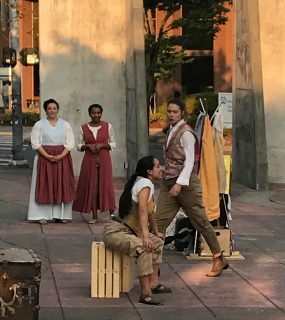 Theater For Young Children (TFYC) is back for our third annual Arts In The Park tour sponsored by The City of Seattle and Seattle Parks and Recreation. TFYC believes everyone should be exposed to great art. We bring professional actors to perform for children and families in easily accessible neighborhood locations. Shows specially written to for ages 3-9, and fun for all!! 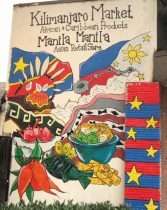 Come join us for stories and music celebrating Latin America: The Armadillo’s Song and The Half Chicken. Bring family, friends, and neighbors to sit on a blanket and enjoy the show! All shows FREE, with a suggested donation of $5. LCFF’s 4th Annual Concert Series is Back! Join us as we kick off the 2018 “Music in the Mini Park concerts with contemporary jazz group “Jump Ensemble”. The concerts will run every Wednesday for ten weeks. Music begins at 5:30 and we have another stellar line up to share with you. 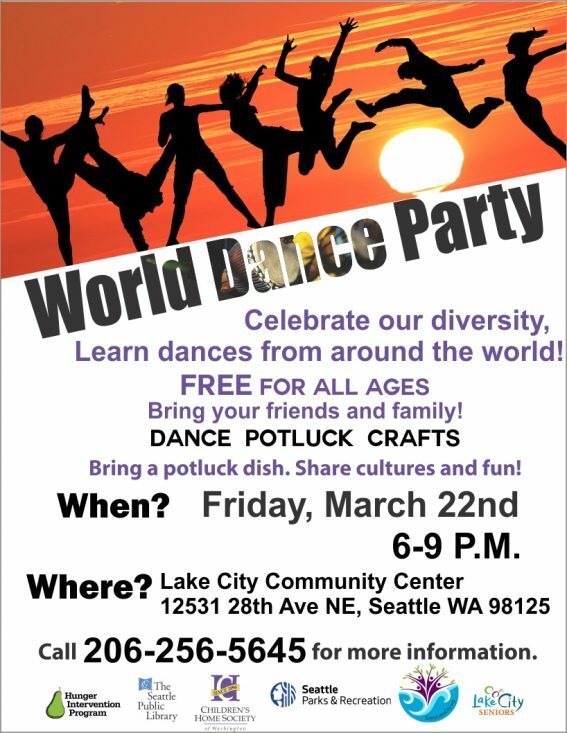 Park is located at 12359 Lake City Way NE, Seattle, WA 98125. 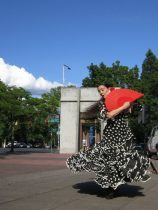 This series is made possible through the “Put Arts in the Park” grant initiative in partnership with the Seattle Office of Arts and Culture and the Seattle Parks Department.